This week I committed the cardinal sin in cross stitch: I started backstitiching before I finished the regular cross stitch. 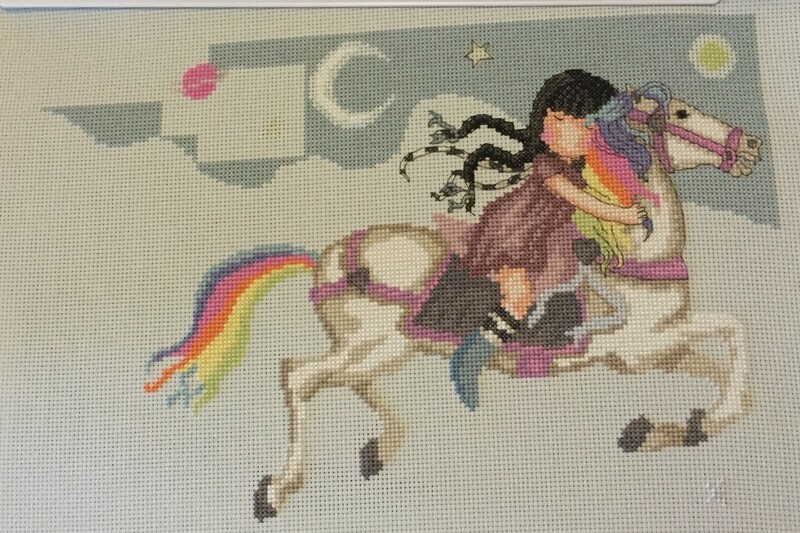 Every cross stitch chart I have ever read tells you to start the back stitch only after finishing all the cross stitch and half cross stitch. But seeing as how everywhere I started backstitching the regular cross stitch is already done I don’t foresee any adverse effects, and so my conscience is clear-ish. I also learned some valuable information from this endeavor. 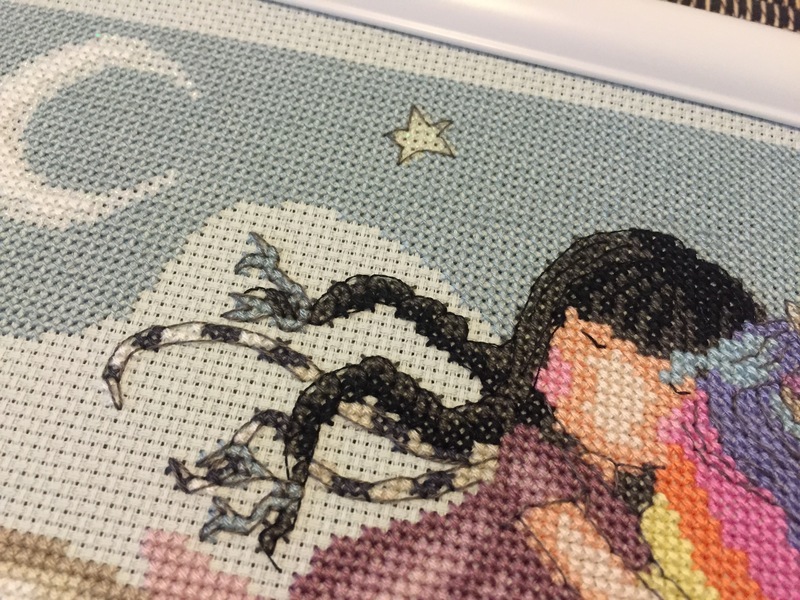 I can only really backstitch during the day because the lights I have are crappy and this design has a lot of backstitch in the middle of a square or black on black (OMG her hair was nightmarish!) So, long tedious stitching at night, backstitching during the day—except today because it’s raining and soooo dark outside. I love it. Without further ado, here’s my progress this week. The whole big thing. I almost didn’t see the two stars. That would have been a tragedy! The only backstitch I’ve finished is Gorjuss’s wild hair. And I am still working on the top blue background. I hope to fill in around the pink planet in the next couple days. But even that little section I imagine will take me 3-4 hours. 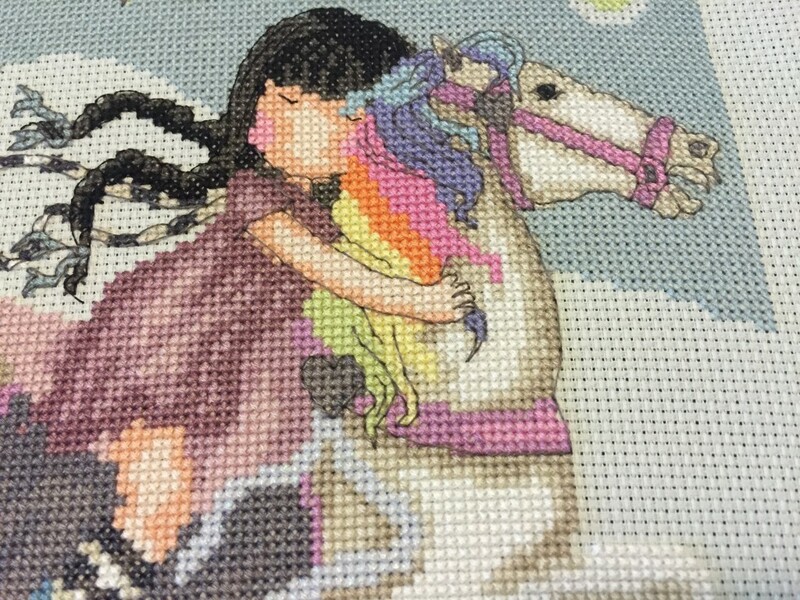 I think I stitch slow.